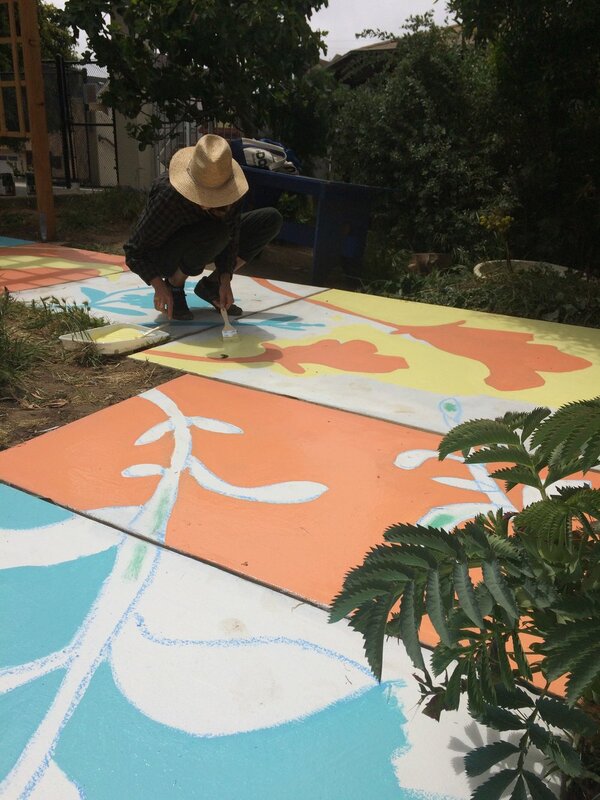 The process is broken up into two phases: a drawing workshop for students and a mural-painting day. 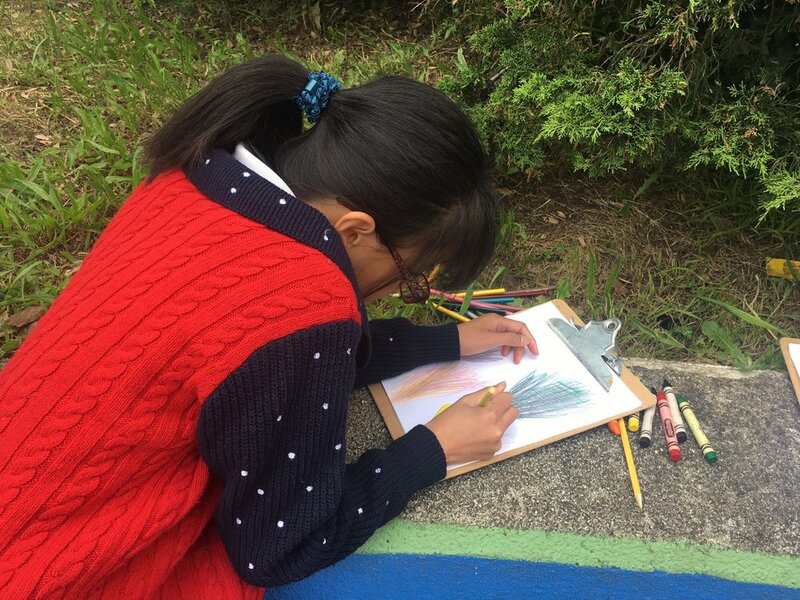 The goal is to help students slow down in order to see the shapes, colors, and textures in plants. 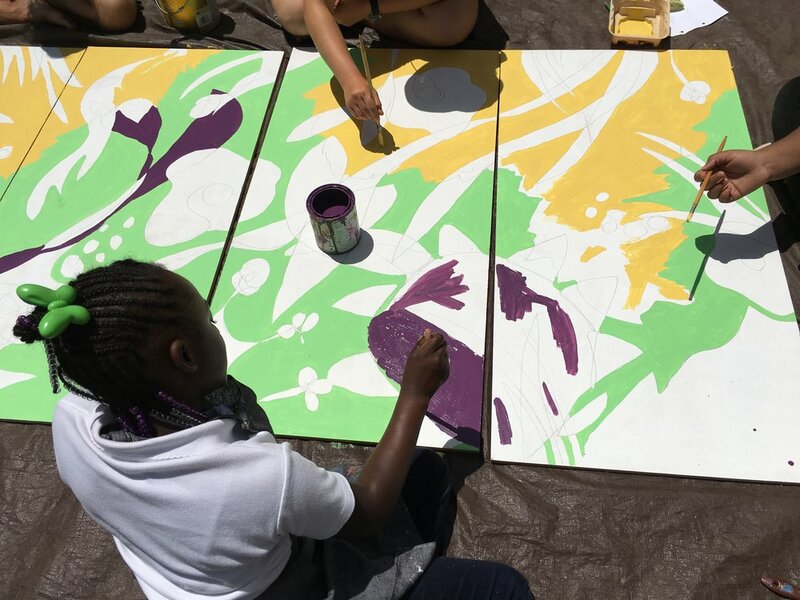 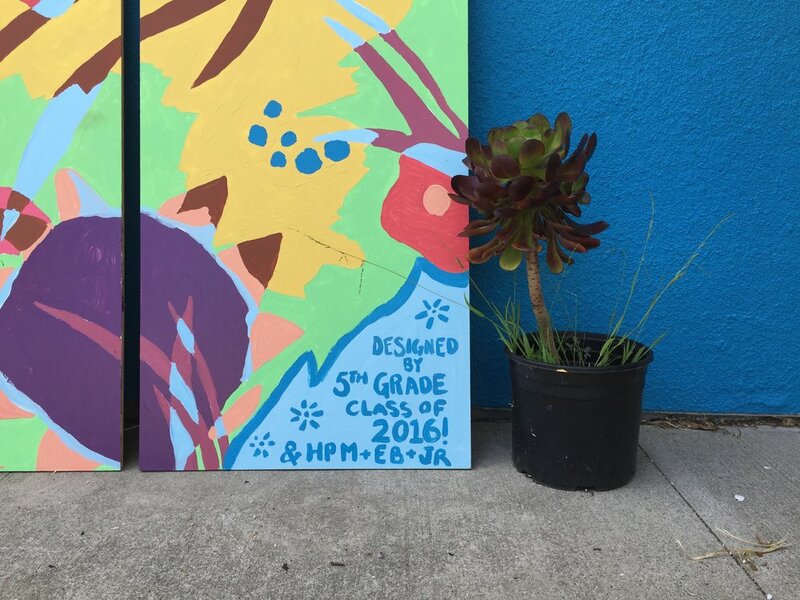 The drawing workshop provides student ownership of the mural and engages the school community. 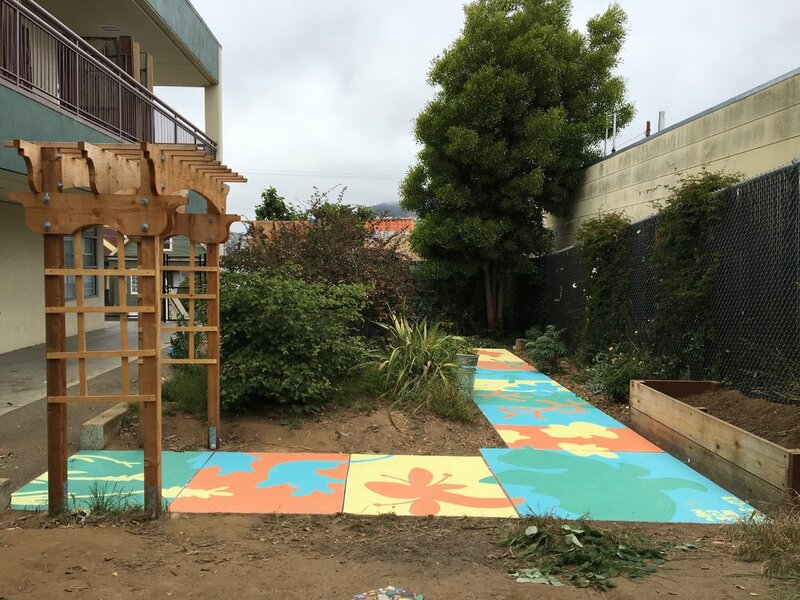 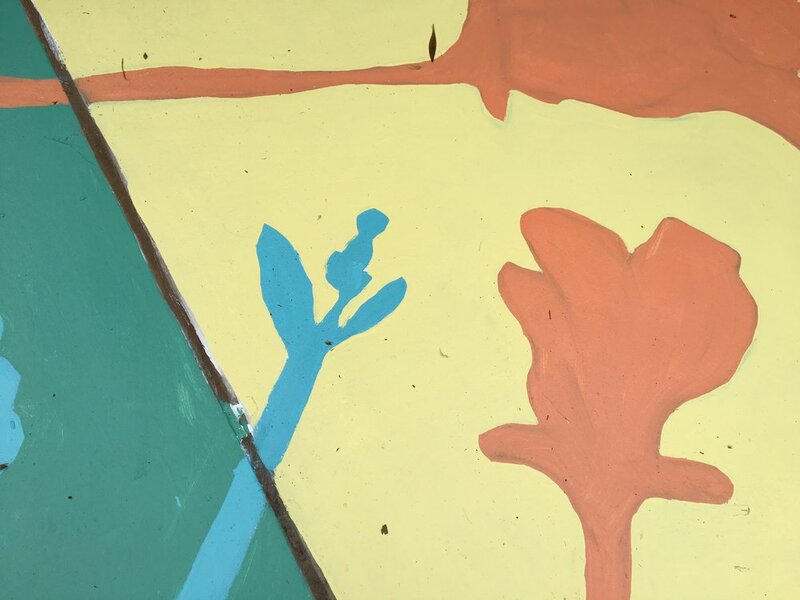 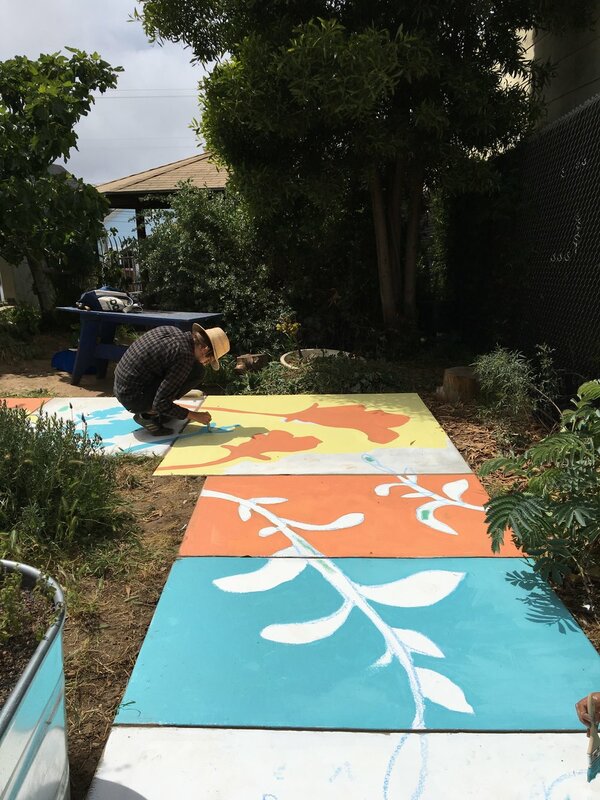 Student drawings are then used to inspire content and composition for the final mural, which is painted onsite in the garden.